Effluent tanks are used with mains toilet units. Or in situations where no drainage is available for hired in toilets and welfare. Available for hire across the UK with our Portable Toilets, Toilet blocks for construction and building project hire. Installation of effluent tanks solves a problem of being able to have welfare and toilet facilities virtually anywhere. This is ideal for getting construction projects out of the ground or where perhaps building work is being carried out on the existing toilets. Effluent tanks we hire out at made using glass reinforced plastic or GRP. 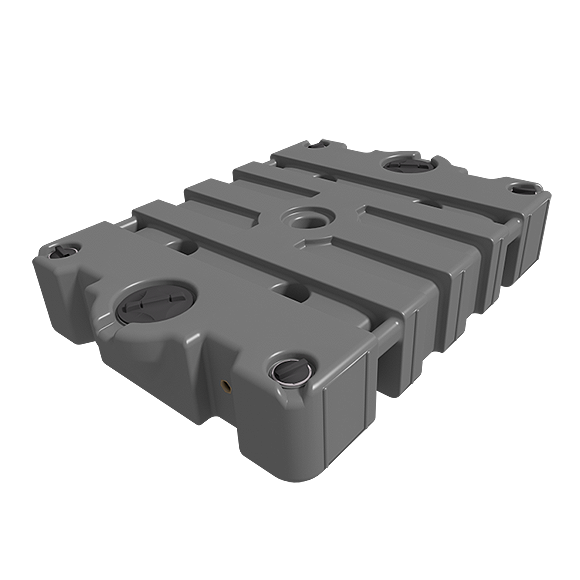 A material has brilliant features and is ideal for effluent tank construction. Before GRP was used, effluent tanks were (and some of the larger tanks are still) mainly constructed using steel. GRP Effluent Tanks offer exceptional corrosion resistance, GRP is resistant to a number of challenging environments. This includes environments where the effluent tank is in constant contact with chemicals and human waste. There simply is no corrosion threat with GRP effluent tanks. Our effluent tanks are perfect as a complement to our welfare, site accommodation, toilets and cabins which our customers site on busy construction sites. By nature of its construction, GRP effluent tanks tensile strength is often greater to that of steel. Meaning life on a construction site is more resilient and durable that using steel counterpart effluent tanks. The other bonus to the use of effluent tanks from PAL Hire is the fact that they are 75% lighter than steel equivalents. The benefits of this sort of technology is the ability to reposition the effluent tank when the site changes. And it certainly makes it easier to deliver and collect hired effluent tanks. Working in a construction environment, every bit of equipment is required to be strong, tough and durable against knocks and accidental damage. The last thing anyone needs is the contents of an effluent tank spilling on site due to accidental damage. Our hire effluent tanks meet all construction requirements and have a high impact resistance. Please ask our agents for advice on effluent tanks if you are unsure of how many you will need. PAL Hire effluent tanks have 500 -1000 gallon capacity, please ask our advisers for more information.